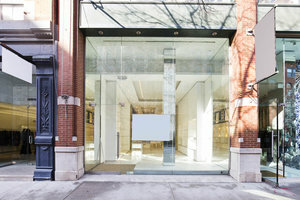 This beautiful 1,800 sq ft shop space is located in a great area of SoHo surrounded by luxury brands. 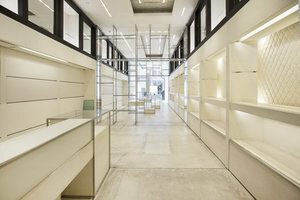 The high-spec space is ideal for Pop-Up Stores, Ready-To-Wear and Accessories Retail and Product Launches. The space boasts lovely interiors, furniture and fittings with an entirely glass frontage. 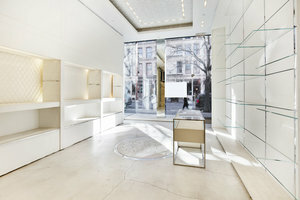 The shop is finished to a high standard and has shelves, garment racks, and counters in glass and chrome. 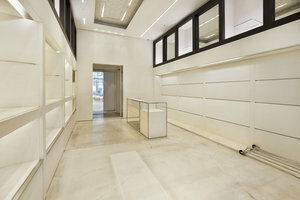 The basement is also a finished space that can be used as retail space. 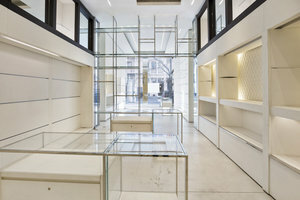 Located amongst designer retailers including DKNY, COACH and M-Missoni, this space is ideal for brands looking to align with luxury brands in a high-end setting.